"A clear-cut Liverpool win is easy to predict and Van Dijk gives them plenty of protection at the back, but Fulham have scored in three of their away games." An already intriguing match-up between two attack-minded teams - albeit with very different results - has added significance after Liverpool's 2-0 defeat at Red Star Belgrade in the Champions League on Tuesday night. 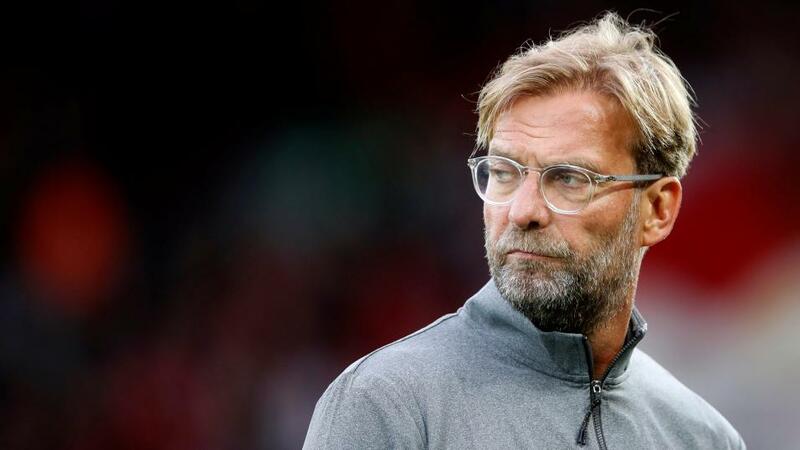 Having dropped to third in the Premier League after last weekend's 1-1 at Arsenal, behind Manchester City by two points and Chelsea on goal difference, Liverpool need a reaction here to regain their early-season momentum. Perhaps the biggest conclusion to be drawn from the Red Star defeat is that Jurgen Klopp still lacks strength in depth. He made four changes from the team that beat Red Star 4-0 at home - not all by choice - and some of the second-string players did not perform well. Jordan Henderson, who has missed the last four games with a hamstring injury, is fit again, along with Naby Keita. Defenders Joe Gomez and Dejan Lovren are also expected to be available. Fulham boss Slavisa Jokanovic is under pressure at the other end of the table after his side slumped to the bottom with Monday night's 1-0 defeat at fellow strugglers Huddersfield. Having taken only five points from the first 11 Premier League matches after being given a £100m transfer budget in the summer, Jokanovic is under massive pressure and is [1.79] favourite to be the first Premier League manager to leave his post this season. Jokanovic could be without left-back Joe Bryan, who has a hamstring problem, while midfielder Kevin McDonald suffered a knock at Huddersfield and lasted only 20 minutes as a second-half substitute. Liverpool's form has certainly dipped since they opened the season with a seven-match winning burst in all competitions, but their subsequent record of W3 D3 L3 is given perspective by the much stronger level of opposition during that run. Liverpool are undefeated in their last 26 home matches in the Premier League, but the more significant statistic in this context is that they have a W12 D3 L0 home record against teams outside the big six in the past 12 months. That form line has hardened since the arrival of Virgil Van Dijk in the January transfer window. His first Premier League start for the Reds was in a 1-0 defeat at Swansea but since then Liverpool's overall record against teams outside the big six is W14 D3 L0 with the Dutch defender in the line-up and at home it is W9 D1 L0. No side has ever conceded more goals at this stage of a Premier League season than Fulham and they are the only side in the division yet to keep a clean sheet. Jokanovic's side started with some promise, beating Burnley 4-2 and drawing with Brighton and Watford, but they are on a five-match losing run in the Premier League by an aggregate 16-3. They have conceded at least two goals in nine of their 11 Premier League games and there seems no easy fix to their defensive issues, given the lack of summer spending on reinforcements in that area. A clear-cut Liverpool win is easy to predict and Van Dijk gives them plenty of protection at the back, but Fulham have scored in three of their away games and their forward-thinking approach makes them one of the lesser teams most likely to threaten the Liverpool goal. A decent-priced option is Liverpool to win and both teams to score at [2.46]. Over 2.5 goals is the obvious pick at [1.29] with that mark exceeded in seven of Liverpool's 10 home games against teams outside the big six in 2018 and eight of Fulham's 11 league games having gone over 2.5. Even Over 3.5 goals is odds-on at [1.7]. Fulham have taken one point from their last 18 Premier League games against the 'big six' sides (W0 D1 L17), losing all three games this season by an aggregate score of 2-11. Liverpool are [1.82] to win to nil.